I don't often write about where I live, but I should. 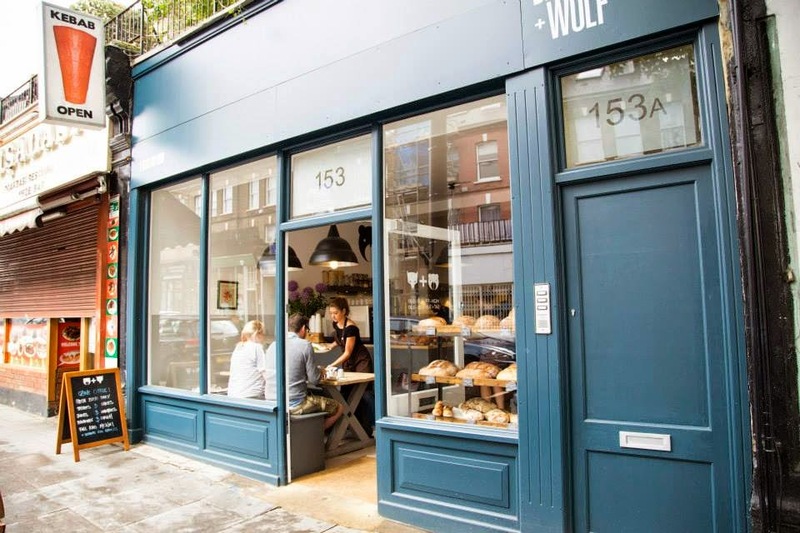 In the seven years since I've lived here, it has been transformed from a scruffy collection of fast food outlets and nondescript shops into a rather chic little neighbourhood – from fast food to slow food, if you will. Where there was once a kebab shop, three or four greasy spoons and too many places selling fried things with chips, we now have an ice cream shop, a greengrocer, a fishmonger, a butcher and a baker (no candlestick maker yet) as well as a gift shop, hairdresser, yoga studio, children's clothes shop and this lovely cafe, where I am sitting right now. But anyway, what does this have to do with marmalade? The joy of living here is the nearness of everything. I have got into the habit now of food shopping every day, something I would have once considered a chore, or just inefficient. 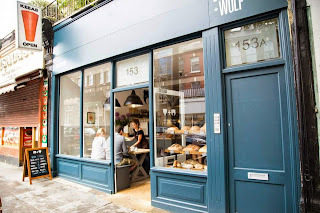 But after the school run (3 minutes), I can pop into the grocer (2 minutes along the street) and then into Bear + Wolf for coffee (1 minute), pick up stuff from the dry-cleaner and be back home 3 minutes later, even while pushing a pram. 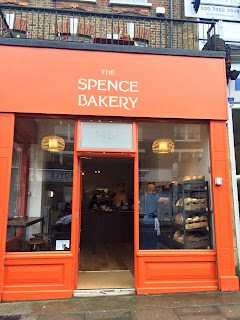 So when, on a sunny May morning, it feels like time for a treat, we can be here for breakfast in a matter of minutes, with minimal forward planning. 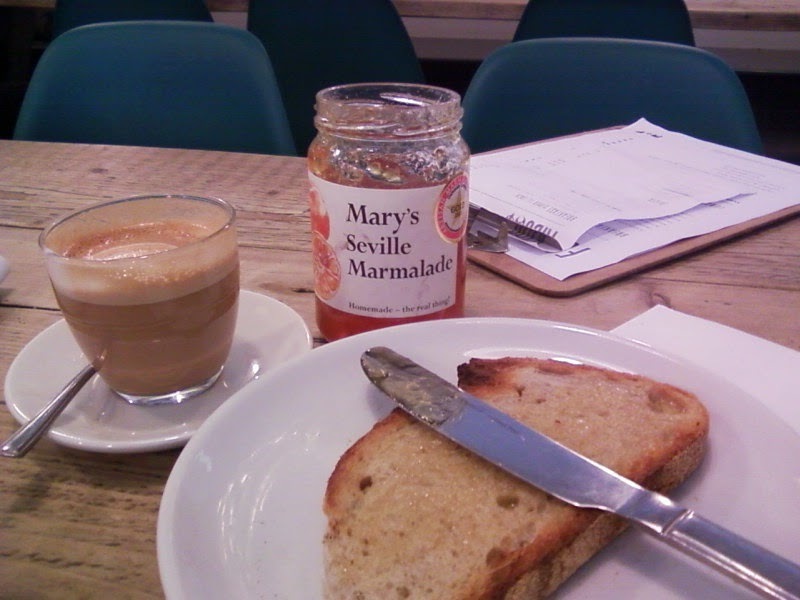 My son had waffles, bananas and maple syrup with a banana and orange smoothie; I had sourdough toast and this marmalade. The baby had crumbs from our plates (she loves a good chewy crust). It was a success all round, and not least because of the marmalade (and the pools of melting butter on my toast, I had to wash my hands before typing). I knew it would be good when I saw the Dalemain sticker; it has a gold award from the World Marmalade Awards, about which I have written copiously in the past, so I won't here. But it's a good sign. Matthew, the cafe's owner, explained that it came from the mother of a friend, who is based in south London and Exmoor (now, there's a nice life), and it's really very good. It's a classic bittersweet Seville, with a proper homemade flavour, not too set, lots of peel, very delicious. I recommend it. And you don't even have to live in north London – she'll send it by post. Marmalade in the mail – what a happy concept.